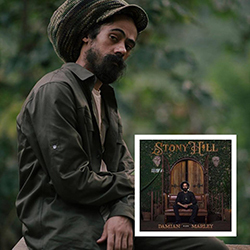 Damian Marley was named winner in the Best Reggae Album category of the 60th annual Grammy Awards at the Madison Square Garden in New York City. After a victory in 2001 for the album Halfway Tree and two trophies in 2005 with Welcome To Jamrock, he won with his latest album Stony Hill. This album is his fourth solo studio album and it was released in July 2017 by the Republic Records label. The other artists nominated were Jamaican vocalist Chronixx (Chronology), Californian band Common Kings (Lost In Paradise), Californian-Samoan singer J Boog (Wash House Ting), and Jamaican band Morgan Heritage (Avrakedabra).